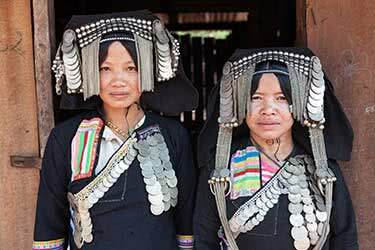 Within the rhythms of Buddhist culture and the laid-back locals, peace permeates the mountainous landscape of Luang Prabang in Laos. Just strolling the historic streets and observing the motto of ‘boh pen yang’ – or ‘no worries’ – is enough to nourish the soul. 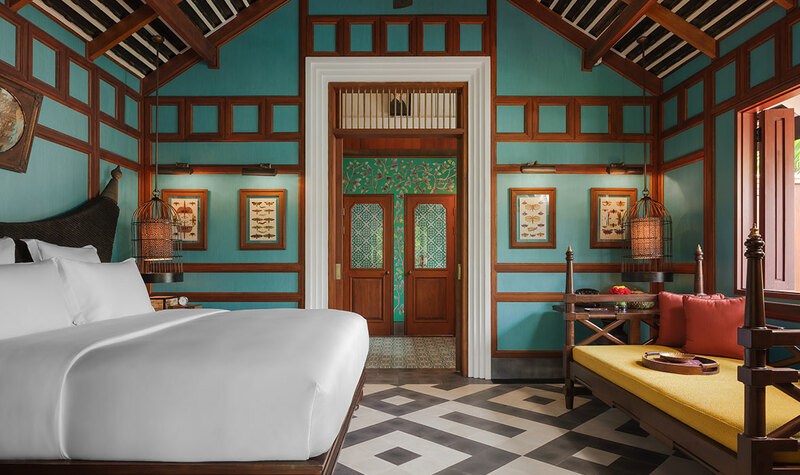 It’s not just the animals and plush new hotels; when you’re on a journey to zen, Luang Prabang has much to offer. 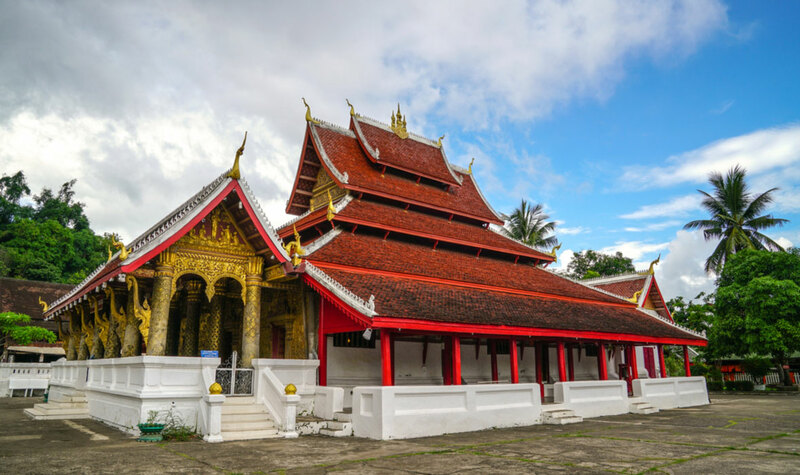 Buddhist temples, known as wats, are at the heart of everyday life in Luang Prabang, with many situated in the small town center. Intricately carved walls and elaborate mosaics are not just for show here; they’re working homes to monks and novices from local villages. 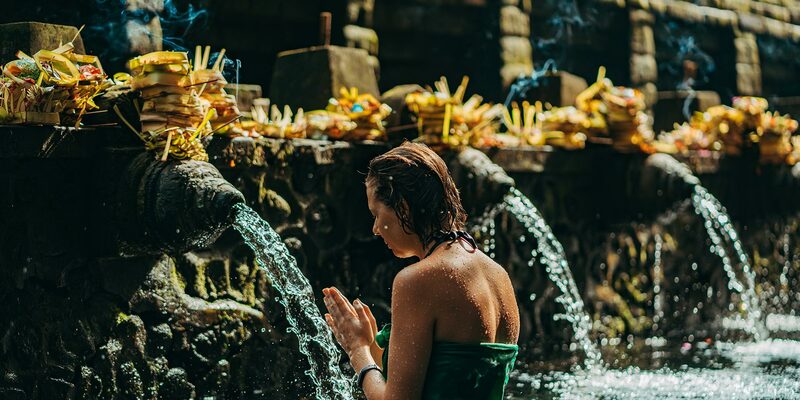 When you embark on the temple trail, you’ll get a holistic glimpse into monastic life. 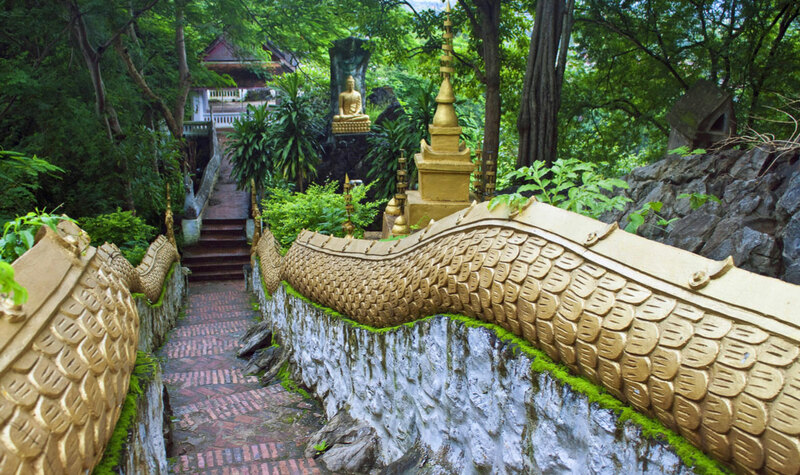 To start, visit the historic Wat Xieng Thong. 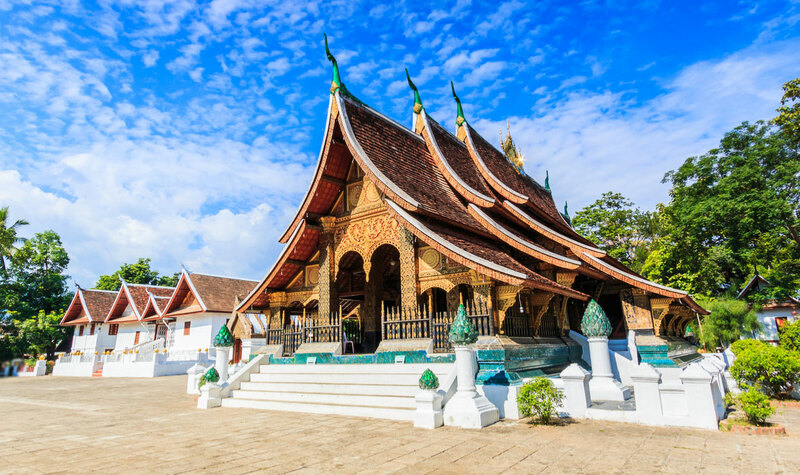 From the outside, the Monastery of the Golden City glitters with glass mosaics and gold stenciling, its layered roofs sweeping low in classical Laos style. Once the site of royal coronations, visitors now stroll through tranquil ornamental gardens, among pavilions, shrines, and by resident monks. ABOVE: Wat Mai in Luang Prabang. Wat Visoun is a reconstruction of Luang Prabang’s oldest operating temple. It’s notable for its 34.5 meter-high stupa of the Great Lotus which locals refer to as the Watermelon Stupa, for its shape. One of the largest temples is Wat Mai, built in the late 18th century and lavish in decoration, with gilded wall reliefs depicting scenes from Buddha’s life. 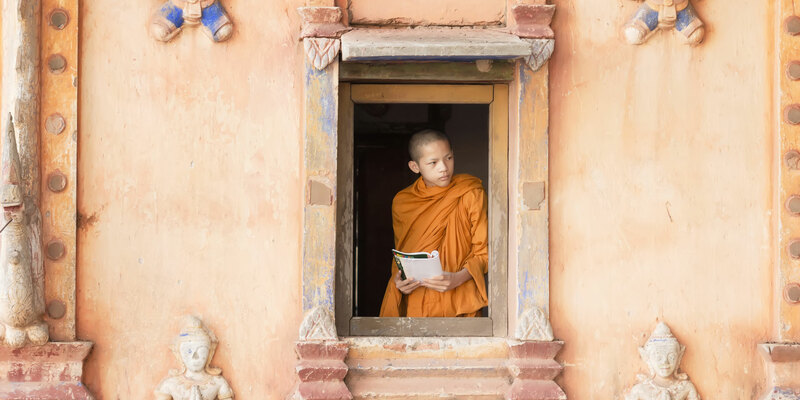 Perhaps the most nourishing experience within the temples is to observe novice monks as they read beneath shady trees, work the gongs in drum towers, and chat to visitors to practice their English. 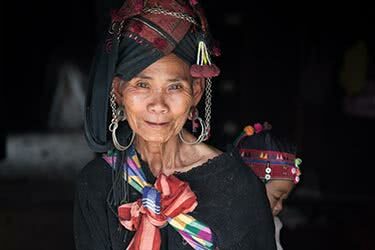 As every Laos traveler knows: each day in Luang Prabang dawns to the sound of temple drums and chanting. 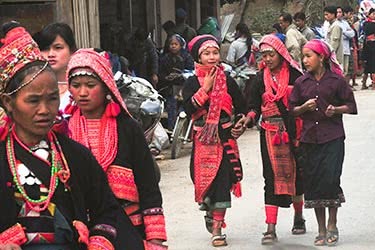 Devoted locals line the streets with carefully prepared sticky rice, ready for Tak Bat, the morning alms ceremony that provides sustenance for the monks. 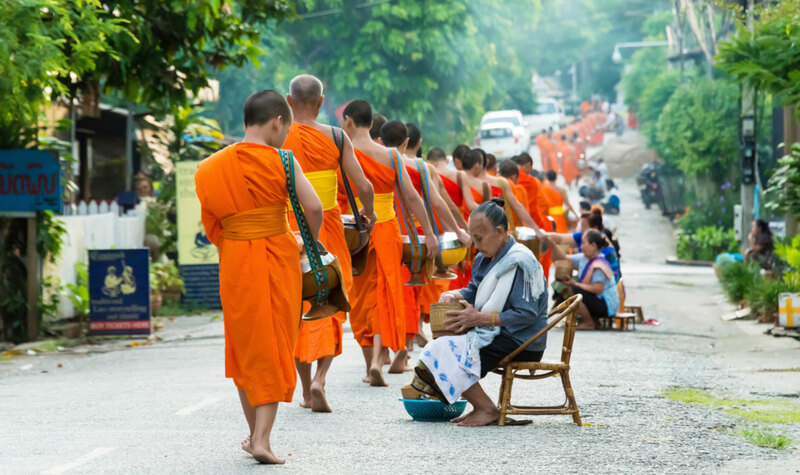 What happens next is a striking visual, as lines of silent monks glide by to collect offerings, their orange robes in stark contrast to the hazy morning light. 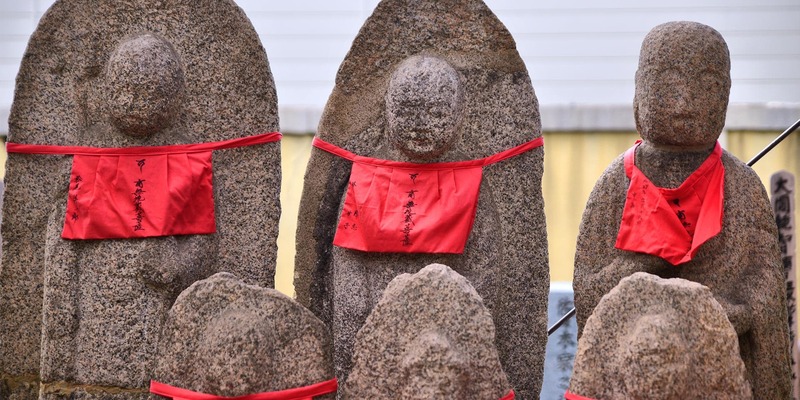 The Buddhist ceremony is a natural tourist attraction, with vendors selling low-quality rice to curious onlookers and people vying for photo opportunities. However, the silent ritual is revered, supporting the monks with food and the almsgivers with spiritual nourishment, so must be approached with utmost respect. ABOVE: Almsgiver offers rice to passing monks. Guests are welcome but expected to remain quiet to avoid breaking the monks’ meditative state. Dress appropriately and stay at least five meters from the procession. It’s important never to touch the monks and only participate in giving alms if the ceremony holds meaning for you. Many hotels will specifically prepare rice for you, with guidance on offering it respectfully. ABOVE: Kuang Si waterfall, just 30 kilometers from town. No matter where you stand in Luang Prabang, jungle-clad mountains frame the scene. 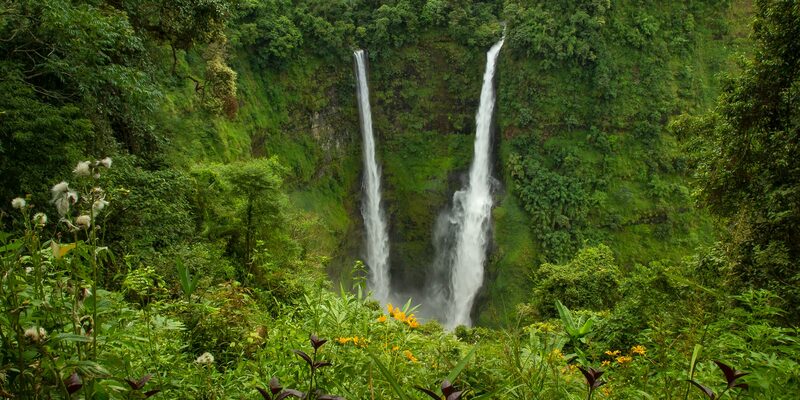 Getting back to nature is easy with jungle hikes, waterfalls and rural villages to explore. 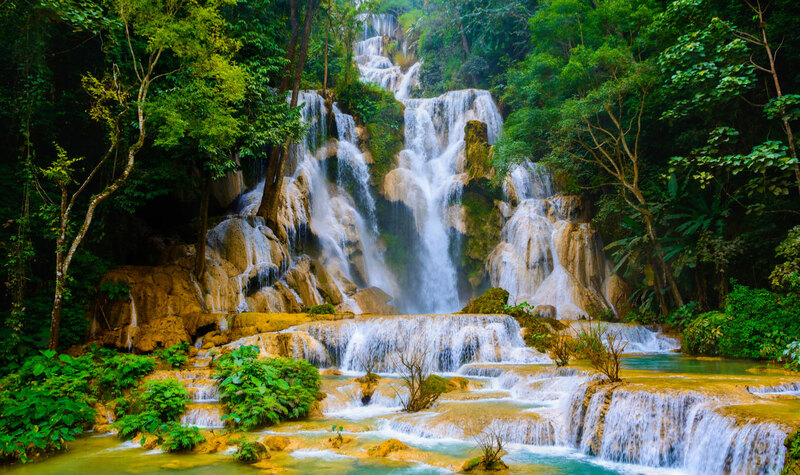 Just 30 kilometers from town, the Kuang Si waterfall offers refreshing respite from the heat, starting with the lowest section of small cascades that form turquoise swimming lagoons. Climb further up and you’re greeted by a dramatic 50-meter drop of water tumbling over multiple limestone ledges. ABOVE: Wat Chomphet involves climbing 100 steps. To discover forested paths with temple ruins, caves and serene village views along the way, take the Chomphet hike. Often unmarked and overgrown, trails ensure you can lose yourself in nature for a couple of hours, or days if you choose. 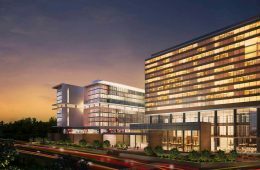 Start by taking a boat across the Mekong River to Ban Xieng Mane and climbing 100 or so steps to Wat Chomphet, or hire a guide for a more extensive hike in the Chomphet District. For a sunset trek, head to the top of Mount Phousi to admire 360 degree views. ABOVE: River boat on the Mekong. 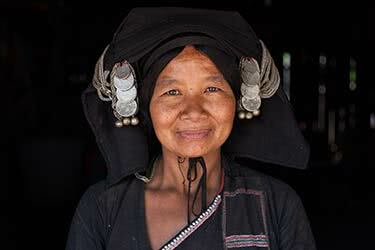 A slow-boat journey on the Mekong soothes the soul and awakes the senses to what is the country’s lifeline. 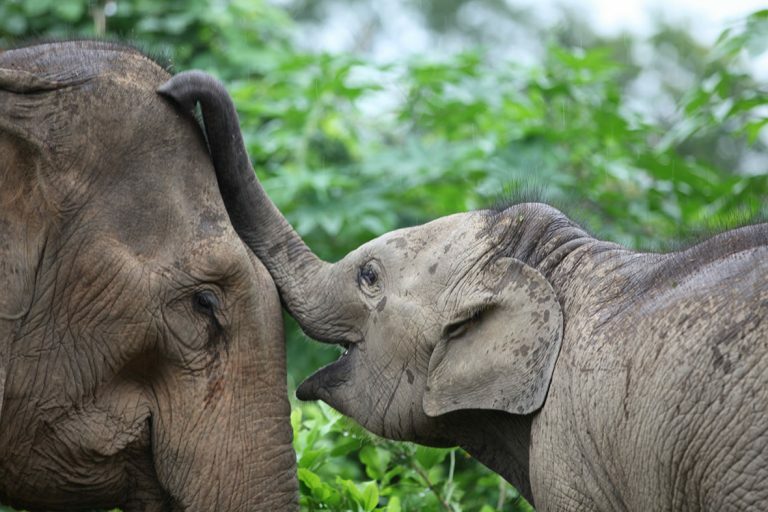 The sacred waterway curls around Luang Prabang like a protective mother, bringing life to rice paddies, corn fields and villages. 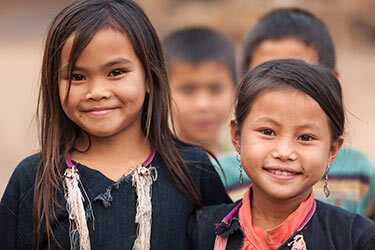 Then, it joins the Nam Khan River to almost completely encircle the town with softly-flowing water. ABOVE: Pak Ou Caves outside of Luang Prabang. The best time for a river boat trip is in the afternoon, to catch the sunset on your way back. 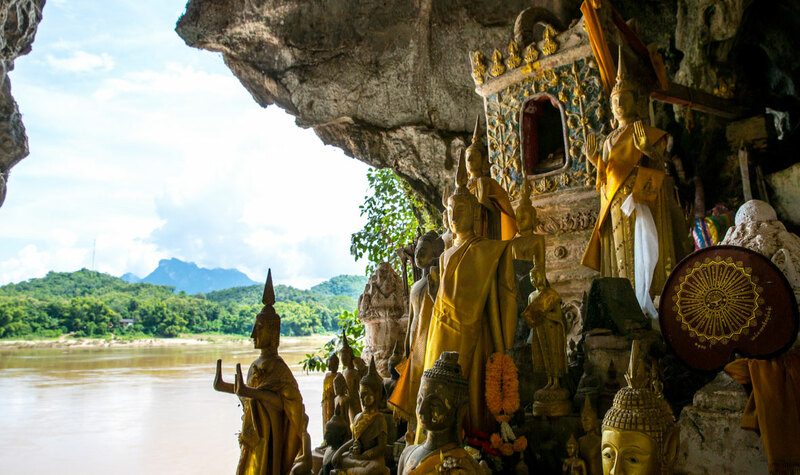 A trip upstream leads you to Pak Ou Caves, a holy site filled with thousands of statues that serves as a shrine to the river spirit and Buddha. 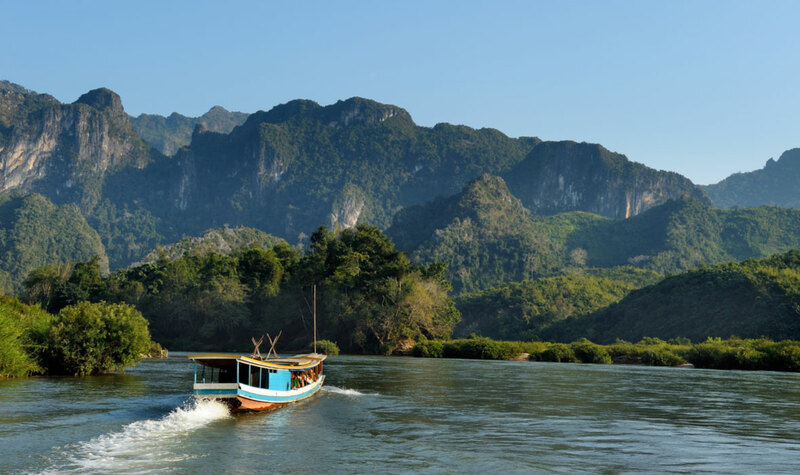 Along the way, you’ll see fishermen reeling in the catch of the day, school children splashing in the shallows and mountainous vistas ringing with the sounds of insects and birds. 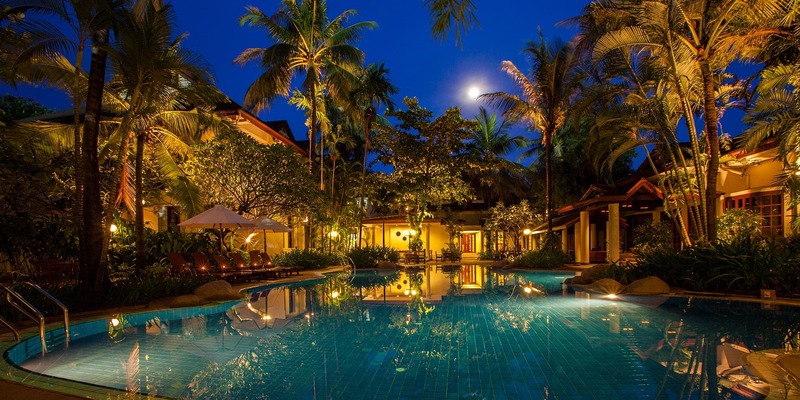 Get in touch with your spiritual side on the banks of the Nam Khan, with Luang Prabang Yoga. The international community of independent teaches offers a range of styles, with classes outdoors and at locations like the popular Utopia cafe. 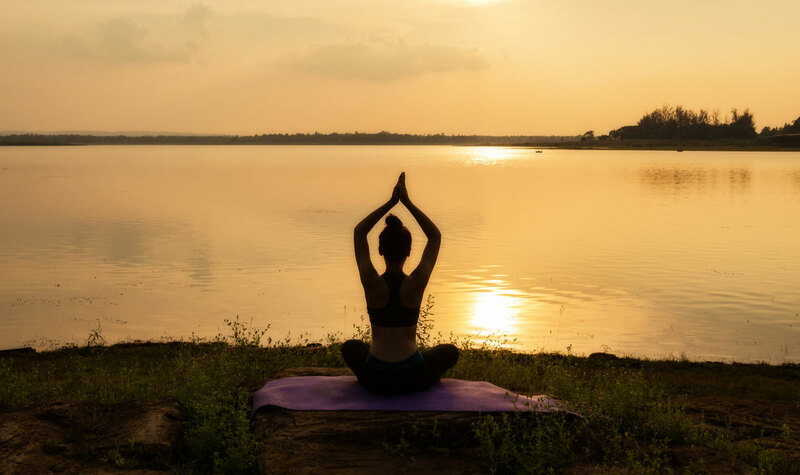 The focus is on the connection between nature and yoga, with breathwork, movement and fresh air nurturing balance and inner peace. On the topic of inner peace, nothing is more important in monastic life than meditation, for insight, wisdom and serenity. 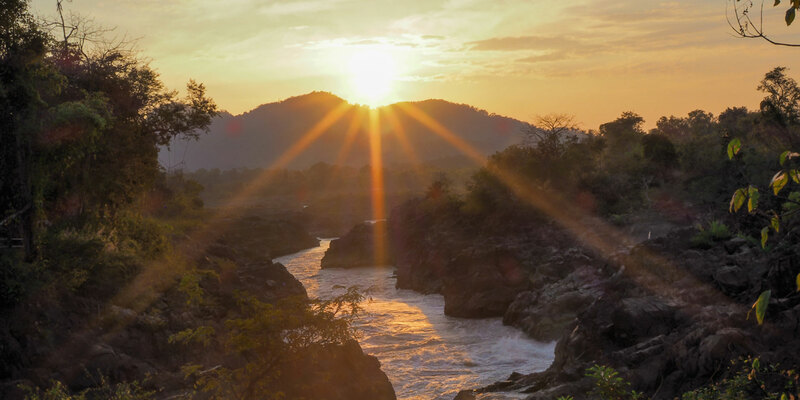 Enhance your practice with Meditation on the Mekong, offered by Belmond La Residence Phou Vao. 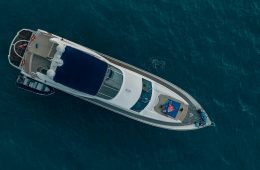 This exclusive experience takes you on a private cruise of the Mekong, accompanied by former Buddhist monk, Ajanh Souk, and a certified meditation instructor. 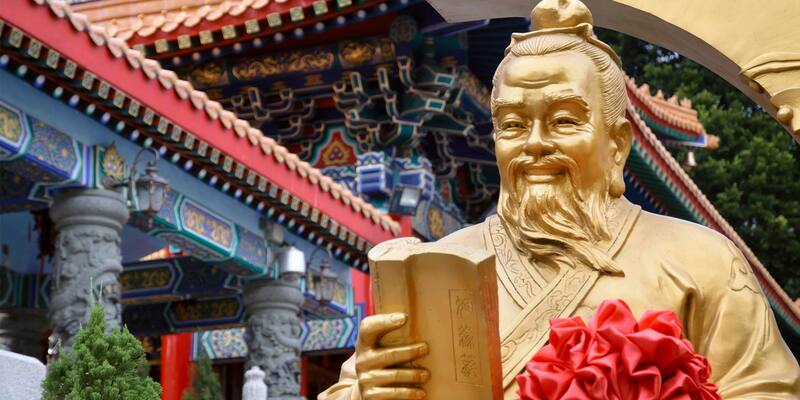 Guests visit remote monasteries, learn about walking meditation, and receive private tutoring towards spiritual nourishment. 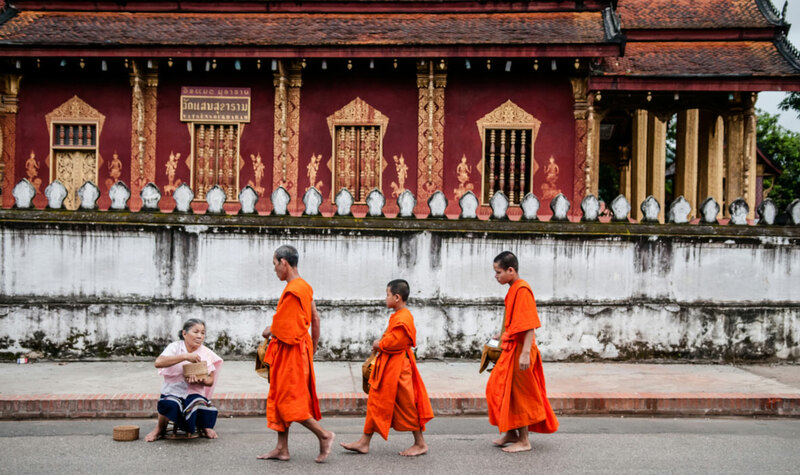 It’s no surprise that a city famous for its spirituality is so nourishing for the soul; when it comes to Luang Prabang, there is always something deeper to discover.